For the second time around, Ateneo and Runrio joined forces for an advocacy run for the benefit of the scholars of the Ateneo School of Medicine and Public Health. 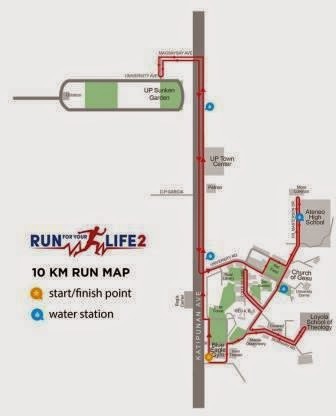 Happening on March 1, 2015, Run For Your Life 2 pits its runners into 5 categories: 500m, 3K, 5K, 10K and 16K. 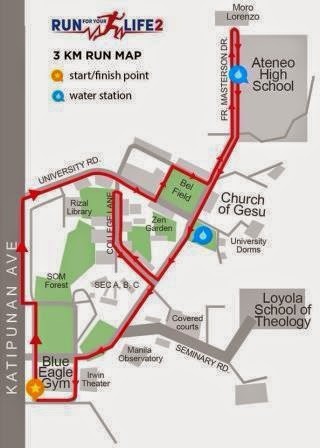 The 500m, 3K and 5K categories will take place within the Ateneo campus while the 10K and 16K categories will stretch from Ateneo to UP Diliman. On my next posts, I will share with you the singlet, finisher shirt, and medal designs presented during the bloggers night.